Do you know you should exercise but don't know where to begin? Are you lacking motivation to exercise for your health? Are you intimidated in a fitness center? If you answered yes to any of the above, this program is for you! 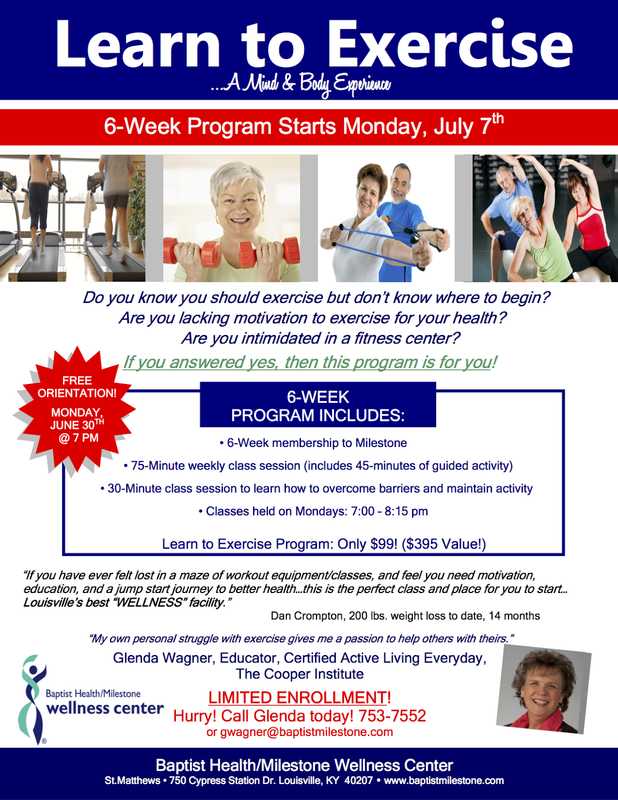 Join Glenda for her 6-Week Learn to Exercise Program starting Monday, July 7th!